The sun, moon, plants, stars work and wife are all in perfect alignment in June. Due to some crazy miracle, I have a week available to ride - anywhere. Free range to tackle my bucket list. So, what does a Bucket Rider do? It's a no-brainer. 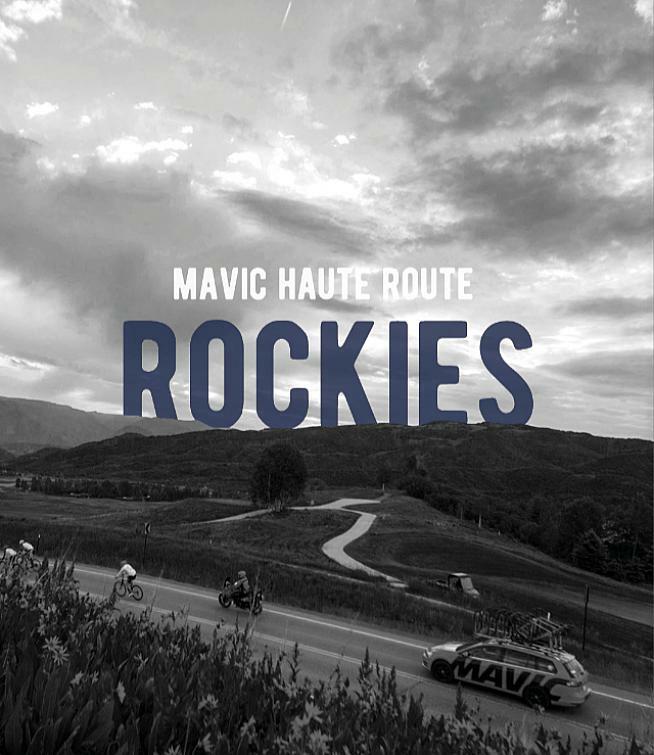 Sign up for an ultimate bucket ride - the inaugural Mavic Haute Route Rockies Race, June 23-30. It's an experience of a lifetime to race an Haute Route event, especially in the beautiful Colorado Rocky Mountains. 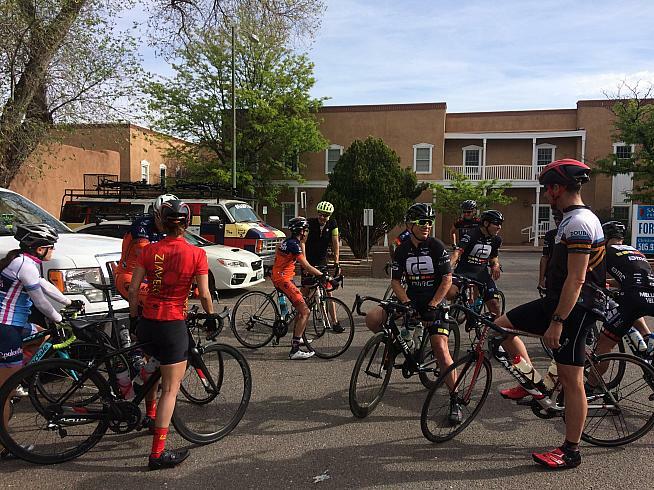 With 500 miles and some 50,000 feet of climbing it's epically challenging. Thankfully the Haute Route crew takes care of all the details - well, except the pedaling - to provide a complete pro-like race experience. It's the closest a washed up ex-faux pro racer like me will ever come to living the dream. As a former Cub Scout - Webelo grade - I learned to always Do Your Best. That means being prepared. 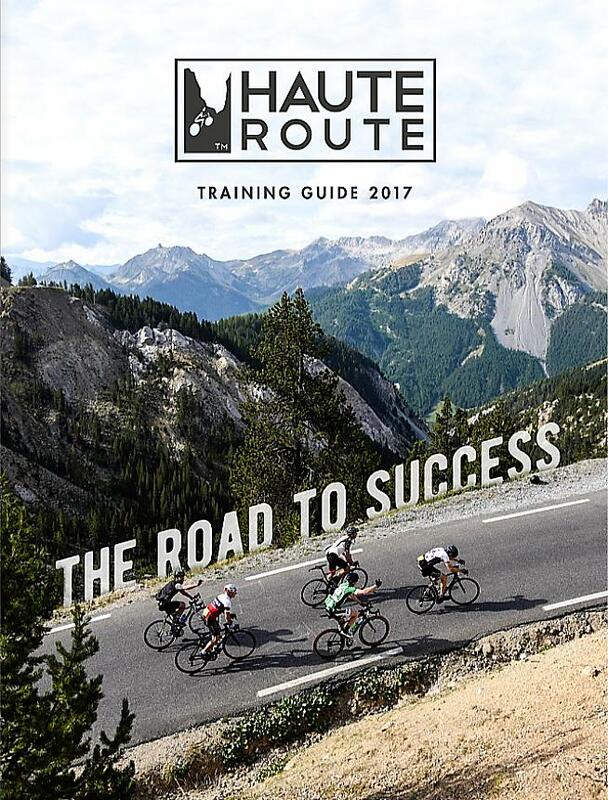 So, the first thing I do is download the official Haute Route 2017 Training Guide. 156 pages of everything an Haute Router needs to know to succeed. It covers in detail: training, nutrition, equipment, gravel grinding, logistics, rules, stage details plus lots of tips from experienced European Haute Route riders. Diving into the guide I quickly realize the most challenging part of making the time-cut each day is having enough training time in the bank. There are no short-cuts, the only way to prepare is ride, ride, ride and then ride more. Motivated to do my best I head to bed early, ready to kick-off my Haute Route training the next day. In the morning snow covers the ground. 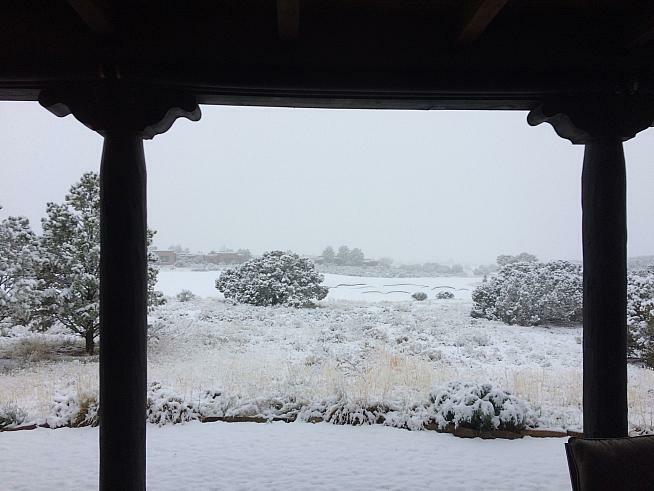 Not just a dusting, but the biggest snow storm of the season. I stare out the window in disbelief, my nose pressed against it like an eager dog ready to go out. Grrrrr, no ride today. Thankfully in sunny New Mexico the snow is short lived and training resumes the next day with a long sunny solo ride. It's 80 degrees by the weekend and I'm jonesin' for a group ride. I get my fix at Mellow Velo on Saturday morning. With some intense segments the ride isn't that mellow, but a great way to bank 4.5 hours in the saddle.